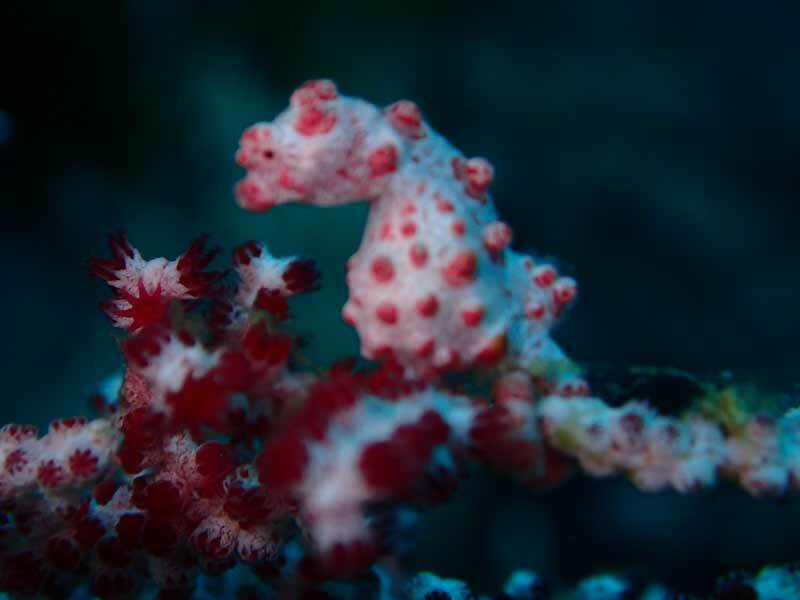 Bali has some of amazingly diverse diving conditions and environments all in convenient, nearby locations. We have wrecks, caves, walls, slopes, drifts, pinnacles and bays all within a short distance from our dive base in Sanur. Some of the sites feature visibility up to 40m with sharks, turtles, manta rays and oceanic sunfish. We train at sites which vary wildly in their conditions. Occasionally we seek out challenging currents and strong surge so you can learn to manage adverse conditions under the guidance of our professional development team. Located off the Southeast coast of Bali, the three islands of Nusa Lembongan, Nusa Ceningan and Nusa Penida offer some of the most sought after diving in Indonesia. Sitting in the middle of the Indonesian flowthrough, the waters surrounding these islands are rich in biodiversity and pimary production, making them an ideal place for both reef fish and big pelagics to flourish. 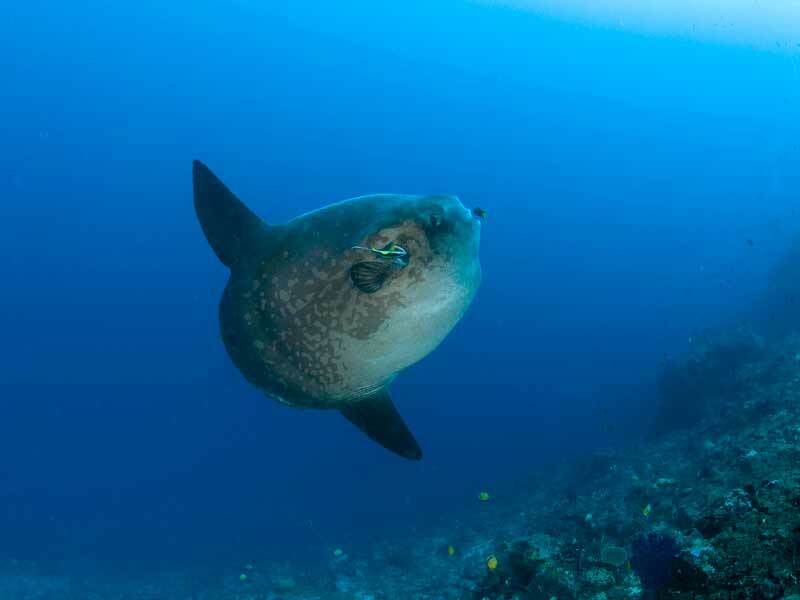 Nusa Penida is also the most likely place to encounter the Oceanic Sunfish (mola-mola). The mola-mola is the largest bony fish in the sea, with a disk width of up to 3.5 meters. These gentle giants inhabit the waters around Bali year-round, but are most commonly seen each year from July to October when the colder water upwellings bring them up from the depths. 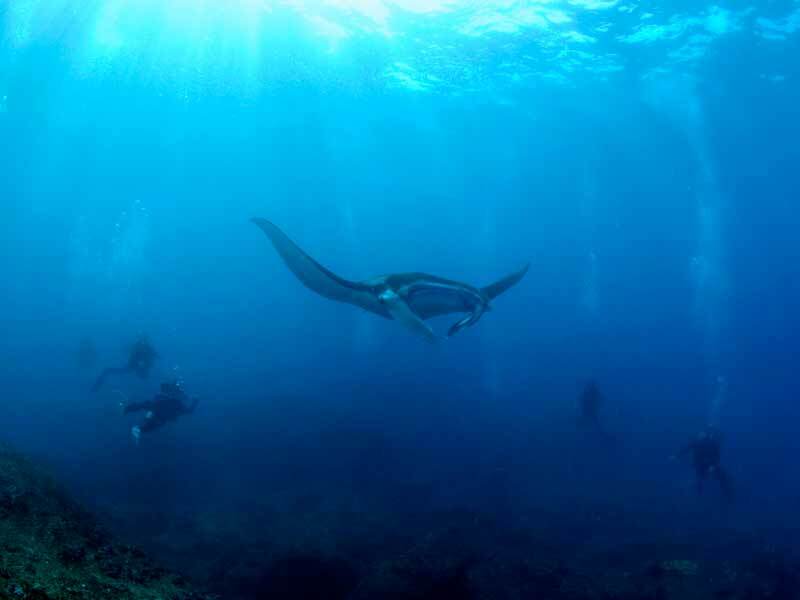 On the Southwest coast of Nusa Penida, Manta rays can be seen throughout the year feeding in the nutrient rich waters and hovering over well established cleaning stations. All in all, this region of Bali boasts some of the most diverse marine populations in the area. Northern Bali sits in the middle of hte East Indonesian Island Chain, a series of volcanic mountains which run across the country and keep the northern regions fairly dry. In contrast to the white sandy beaches of the south, the northern beaches feature black volcanic sand and are an excellent habitat for macro life. 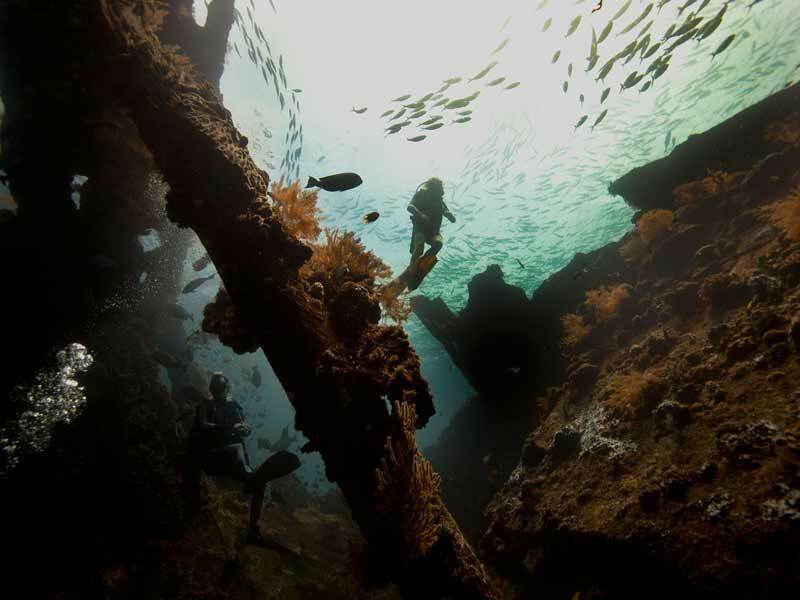 One of the most popular dive sites in Bali, the USAT Liberty shipwreck at Tulamben provides an incredible wreck diving experience with relatvely consistent conditions. One of our most frequently requested sites, Tulamben trips go out almost every day. 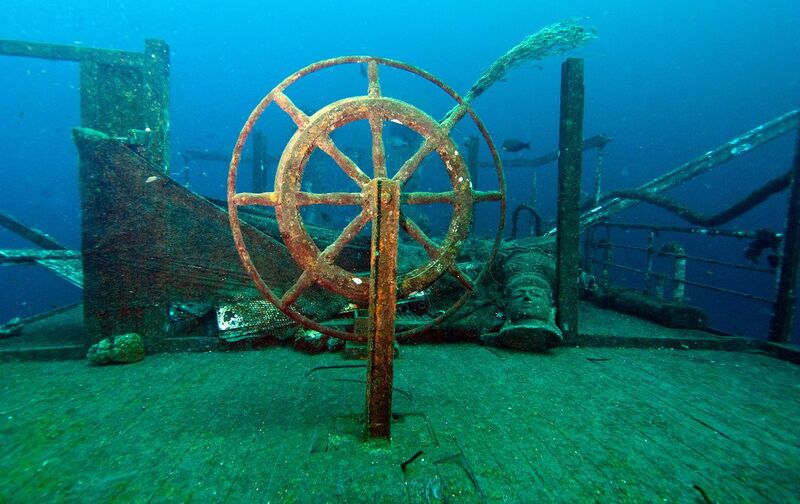 With beautifully clean swim-throughs and a dramatically silouetted backdrop, the Liberty wreck provides the perfect habitat for countless fish species. Barracuda, sharks, Humphead Parrotfish, you never know what you may come across on this dive. After a collision with a Japanese torpedo in WWII, this 120m long US Army Transport vessel was beached at Tulamben in 1945 where it sat until the eruption of Mt. Agung in 1967 pushed it back into the water. She leans slightly on her starboard side, running parallel to the beach. With depth ranging from 3m to 28m, and relatively calm conditions all year round, the Liberty makes for an ideal training site for a wide range of courses. 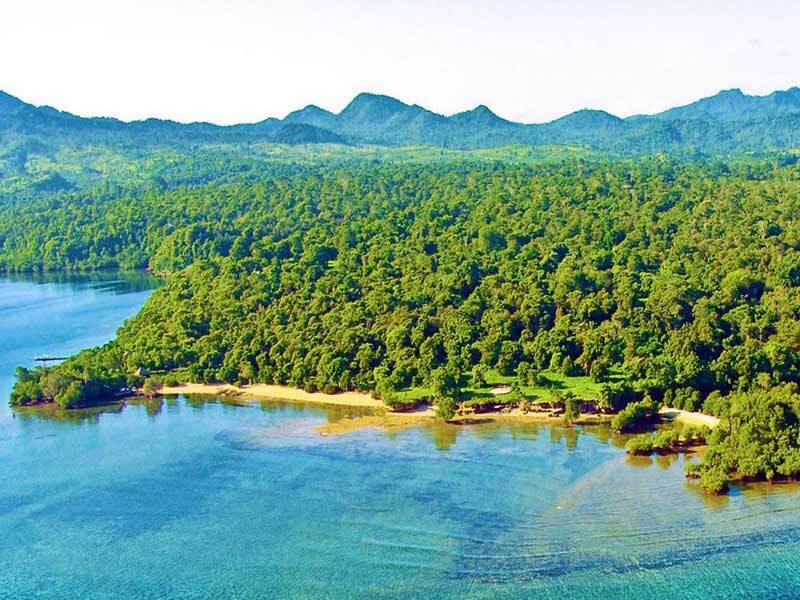 Located on the South coast of Bali, Padang Bai is known for its sloping reefs and abundant fish species. The shallow reefs of Blue Lagoon and Jepun make for excellent muck diving, challenging divers to spot Pipefish, Stonefish and Scorpionfish. Leaving the protected lagoons, some of the more advanced sites offer chances to see schooling fish, predatory pelagics, octopus and sharks. With a wide range of sites offering a diversity of ecosystems, Padang Bai can provide an exciting dive for divers of all backgrounds and interests. The island of Menjangan off the Northwest tip of Bali is one site which can rival the wall diving of Tepekong. The fantastic reefs off the coast of this island are home to numerous species. I saw the largest Grey Reef Shark I have ever seen at Menjangan- a monster nearly 3m long! 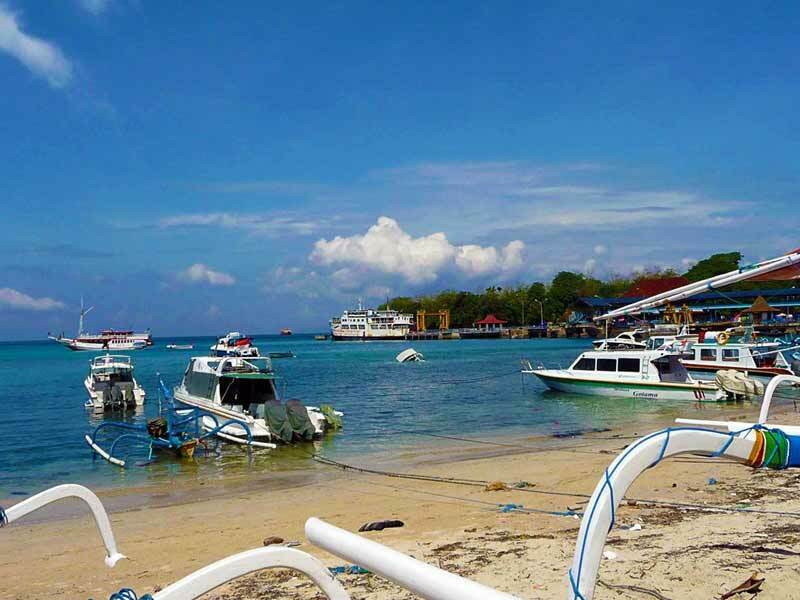 Bali Dive Sites – Gili Tepekong, Biaha and Mimpang. These three islets are just off the coast of Padang Bai and feature some great wall diving. Covered with hard and soft corals, sponges and fans, the steep underwater walls of these three islands make for some of the best drift diving in the area. 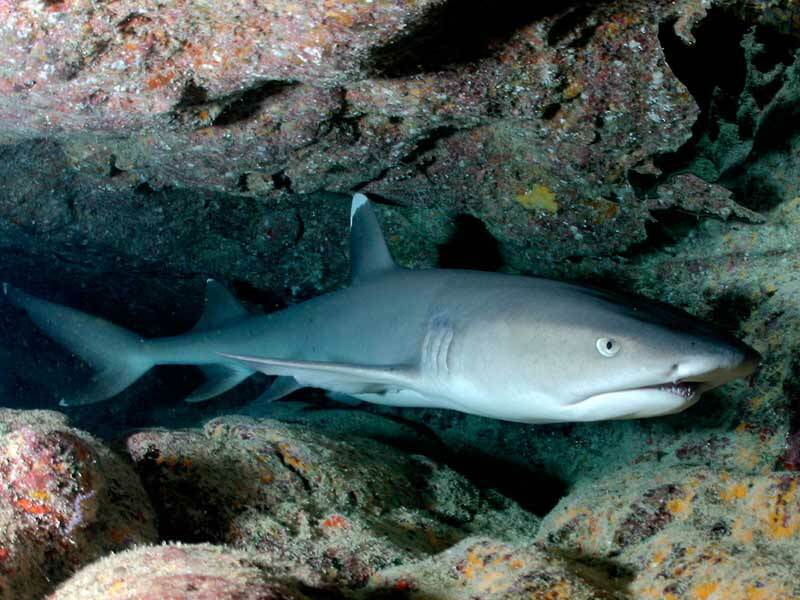 Gili Tepekong is famous for a cave (pictured above) which provides shelter for resident white-tip reef sharks. The cave dive at Tepekong is widely considered one of the best dives in Bali and should not be missed. Due to currents and the overhead environment, this site is reserved for our more experienced guests. 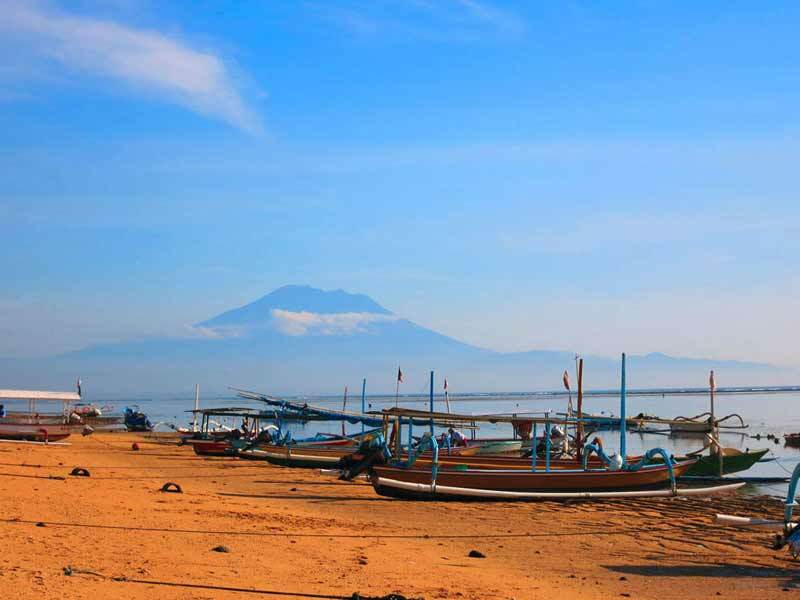 Sanur Bay is the main training site for Blue Season Bali. Its proximity to the dive centre makes it a perfect location to run all levels of diver training. This where we tend to conduct Open Water, DSD, Rescue, Navigation, Search & Recovery and IDC Open Water sessions. Just outside the reef of Sanur Bay is Jaya di Wilis, an excellent macro diving site with heaps of nudibranches, huge coral bommies and exciting swim-throughs. Conditions on this site are variable and offer us the chance to challenge candidates with limited visibility, surf and surge. Sure, diving in calm water with 40m visibility is great, but it doesn’t always make great training for aspiring dive professionals. We aim to help you increase your confidence and ability in a variety of conditions. Common encounters both inside Sanur reef and out include Lionfish, Nudibranches, Boxfish, Moray Eels and Banded Sea Snakes. Pura Jati is considered by some as the best macro dive site in Bali. Want to learn where to find the Ornate Ghost Pipefish? Curious as to what rocks Porcelain Crabs prefer to hide under? Or maybe you just need practice finding those elusive Scorpionfish. Pura Jati is a training ground for seeking the small stuff. This site is one of the areas where candidates can develop their ability to guide experienced divers and photographers- one of the more demanding aspects of a dive professional’s job. Don’t meet the requirements right now? Don’t worry! We can conduct all prerequisite courses at the beginning of your Divemaster internship. Contact us, and we’ll let you know what you need to do in order to get started on your PADI Divemaster Internship today! These are just a few of the extras that you may receive. You might start to notice why Blue Season Bali stands head and shoulders above the rest for Scuba Diving Internships. Our professional team is headed up by our onsite PADI Course Director, Eugene Beery. Assisted by Intern Manager & TEC Instructor, Sam Norton and another Intern Manager, I Gusti Agus Artana. We have a full team of experienced, multilingual PADI Instructors ready to help you to reach your Professional Diving Goals. A minimum 25% non-refundable deposit is required within two weeks of enrolment with the full balance due upon arrival. Deposits must paid via bank transfer or credit card. Balance payments can be made via bank transfer, cash payment or via credit card (no credit card surcharge applies).